The International Baccalaureate Organization (IBO), founded over forty years ago, has come to stand as a symbol for academic integrity and intellectual promise. The student who satisfies its demands demonstrates a strong commitment to learning. This commitment is evidenced not only in terms of the mastery of subject content but also in terms of the development of the skills and discipline necessary for success in a competitive world. The IBO is a non-profit educational foundation based in Geneva, Switzerland. Founded in 1968, the IBO grew out of international school efforts to establish a common curriculum and university entry credential for geographically mobile students. It is a recognized leader in the field of international education. While the IB program cultivates internationalism and respect for other cultures, it is also adaptable to the local environment and allows students to maintain a strong sense of their own cultural identity. Students are taught to be active learners, well-rounded individuals and engaged citizens, who gain practical experience of being part of an international community. 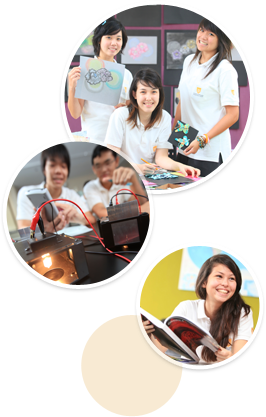 The IB Diploma Program (DP) is a rigorous pre-university course of studies, leading to external examinations, that meet the needs of highly motivated secondary students between the ages of 16 and 19 years old. Designed as a comprehensive two-year curriculum that allows its graduates to fulfill requirements of various national education systems, the diploma model is based on the pattern of no single country but incorporates the best elements of many. The curriculum is displayed in the shape of a hexagon with six academic groups surrounding the core. Subjects are studied concurrently and students are exposed to the two great traditions of learning-humanities and the sciences. The Diploma program is taught in English, Spanish and French. At CIS the program is offered in English. The general objectives of the DP are to provide students with a balanced education, to facilitate geographical and cultural mobility and to promote international understanding through shared academic experience.